Trying to emulate the fighting is magic style with my OC, not as succesfully as I would have liked, but I think it still looks cool. Edit: New, slightly improved version. The wings are a nice touch. If you don't mind, we'd like this to be part of #MLP-Fightingismagic. Please accept the invitation of this art. Love him! 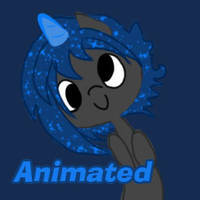 What's his cutie mark? Almost, some of mine leaked in, I guess. It looks very nice, but the poni featured in it is a lame-o.